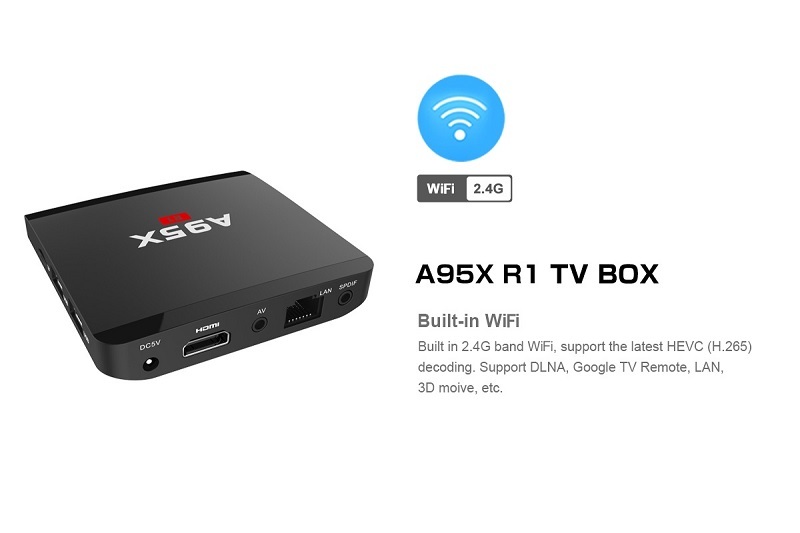 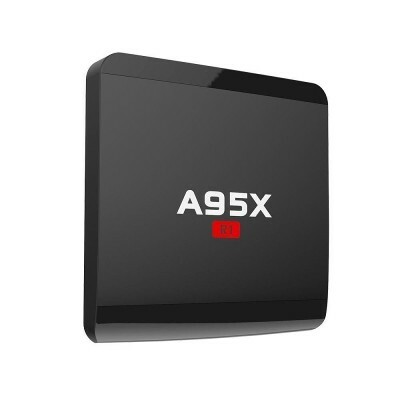 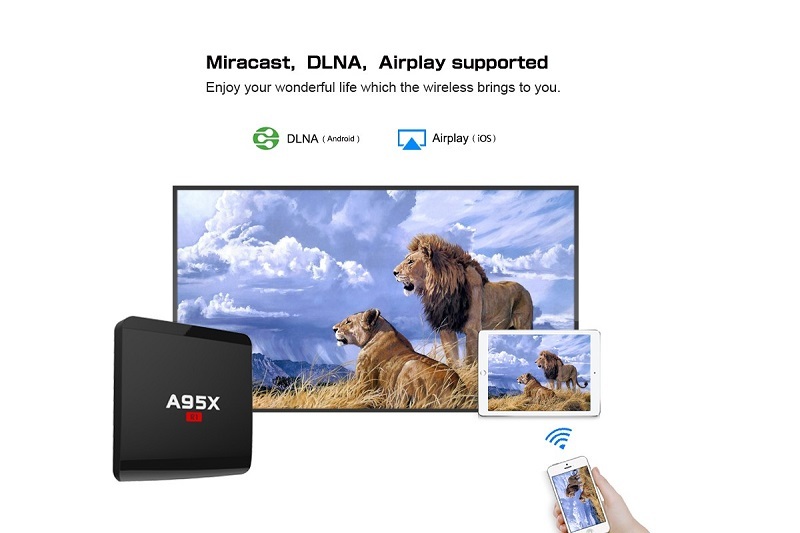 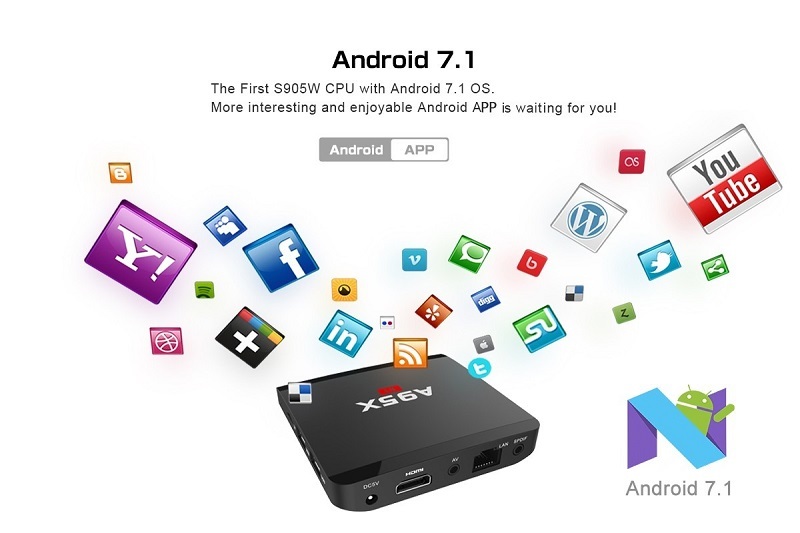 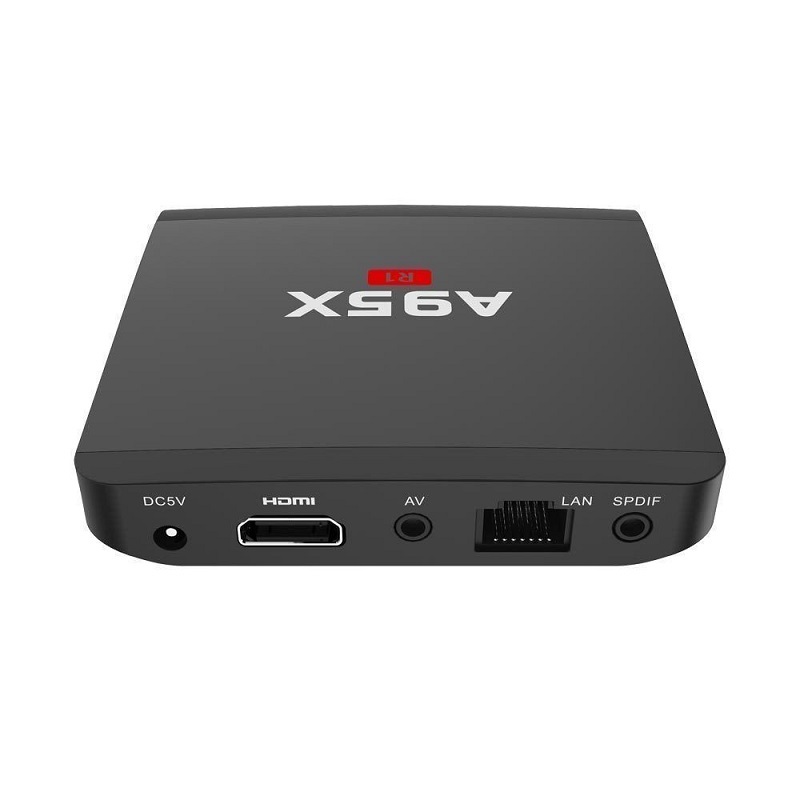 This stylish A95X R1 Android TV box is equipped with Amlogic S905W CPU and Mali-450MP5 GPU, it will provide you with smooth experience to watch the video or play games. 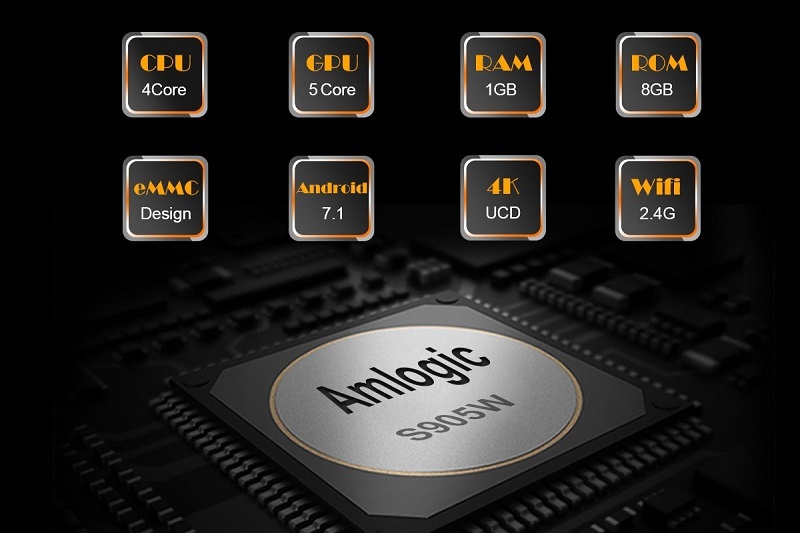 Equipped with Amlogic S905W CPU which is advanced in image processing and computing. 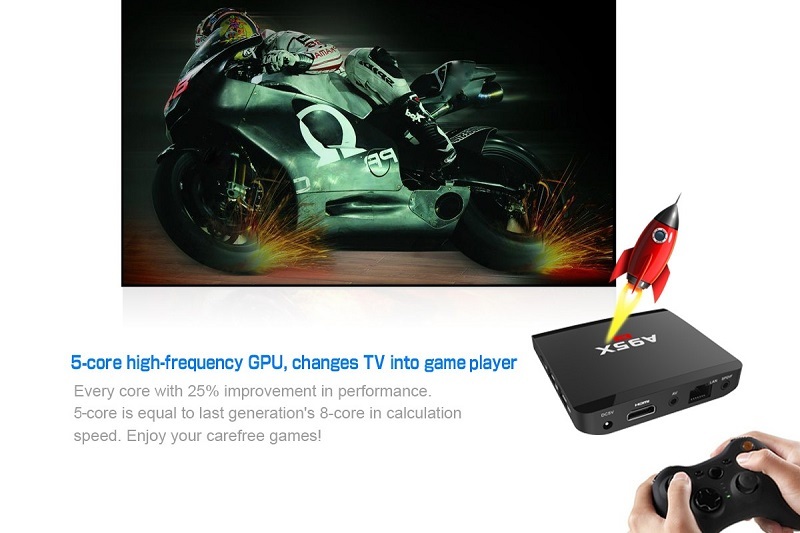 Mali-450MP5 GPU provides 750MHz speed. 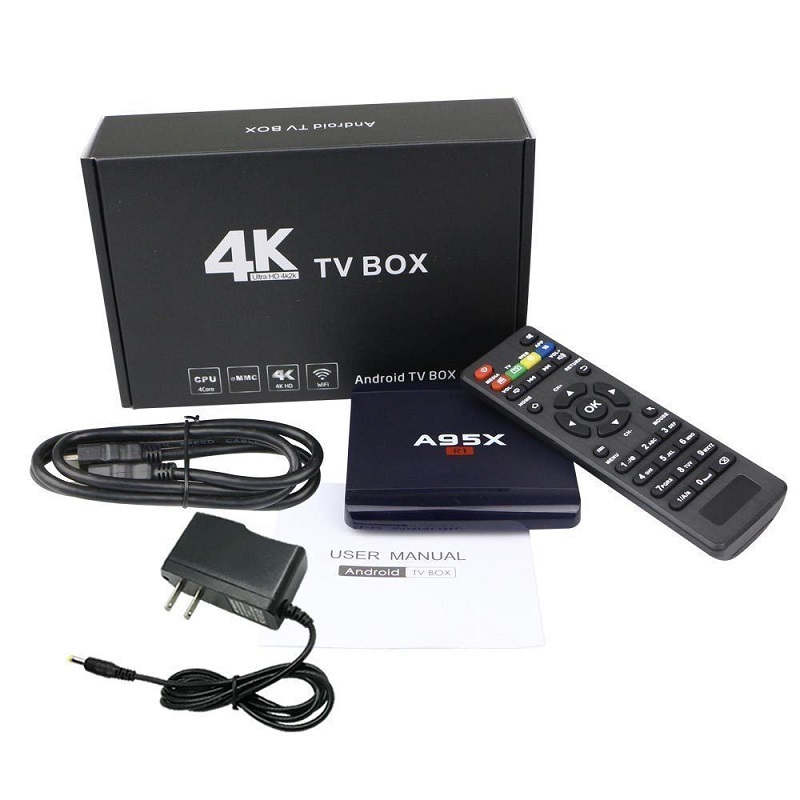 Its high machine configuration gives you ultra-fast running speed and smooth image processing performance. 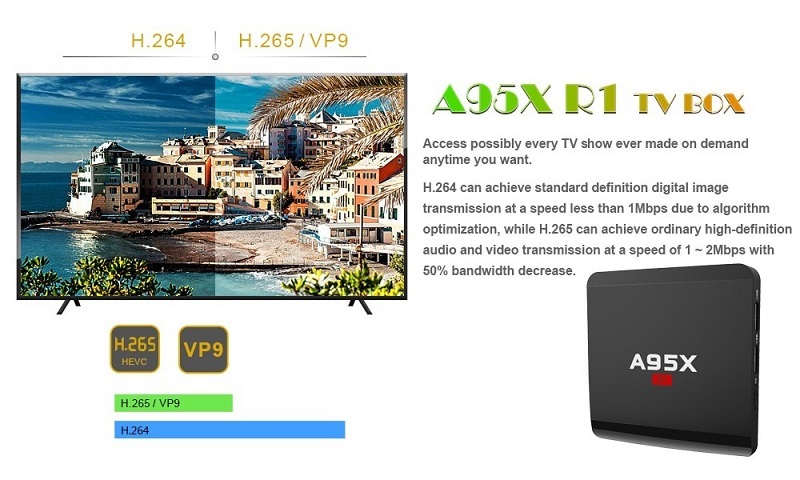 With the HDMI 2.0 data output, it makes sure you will enjoy 4K x 2K even 3D HD movies.